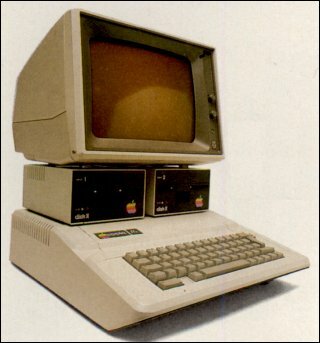 The first computer I ever touched was an Apple IIe. It sat on an elevated table in the school library. The green glow of the text seemed to leap off the black background. It even smelled like the future. I had to touch it. It took me three days to accomplish my first digital feat because there was an analog obstacle impeding my progress- I had to “sign-up” for a 20 minute time slot on the librarian’s clipboard. 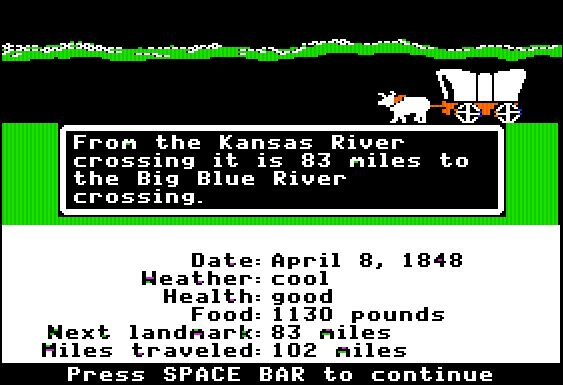 Three days later I was summoned to the library where I promptly died of dysentery in Columbus, Ohio. 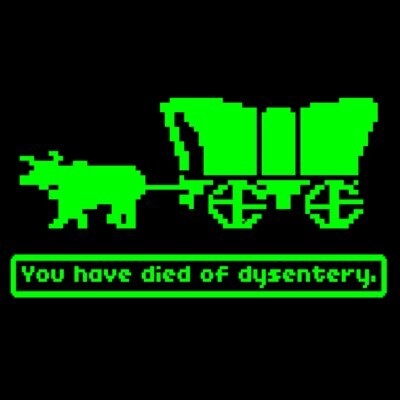 I didn’t physically perish from defecation; the digital me, Festus Furman, surrendered his life to The Oregon Trail. I made a grave marker that said, “Here Lies: Robbie Keller is stupid” and went back to class. I was completely discombobulated (I had no bobulation) for the remainder of the day. I couldn’t keep a thought in my head, I couldn’t pay attention to anything, my mind was back in the library. I just wanted to go back in there and watch people use the computer. It wasn’t that I hadn’t seen a computer before, my dad’s secretary operated one, I just didn’t feel compelled to sit there and watch her process words or spreadsheets. I also never wanted to sit at the keyboard and pretend to be a secretary. 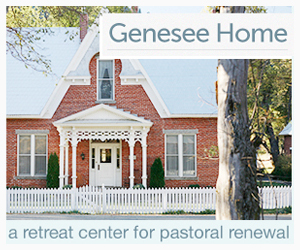 But in that library I could hunt for bear, caulk up a wagon, and parley with “Indians”. The difference between that Apple IIe and every other giant, spinning, blinking, reel to reel machine I had ever seen in real life, or in the background of an episode of “The Six Million Dollar Man”, was that it was something you HAD to experience, not just look at. The experience began with touching it. With Microsoft, Bill Gates put his brain into computer software and technology. At Apple, Steve Jobs put our hands on it. In the past ten years, Apple Computers haven’t just changed the technology that we use everyday, they’ve changed how we operate that technology. At Apple, Steve Jobs placed a high priority on how things looked, and how they responded to our touch. What we saw, gave birth to a desire to handle. …we haven’t stopped touching Apple products since. From the moment you open the box and begin interacting with the beautiful packaging and exquisite attention to detail, you are hooked on an Apple product. It stays in the back of your mind, reminding you that it’s there and that using its digital resources could help you overcome your analog obstacles. It’s begging you to touch it. Today we say goodbye to Steve Jobs, the man who challenged “regular people” to touch a computer and then made them too compelling to resist. His fingerprints are all over the new ways in which we touch the machines that drive our productivity and pastimes. His was a masterful, human, touch. Everybody Hurts… Sometimes they admit it.